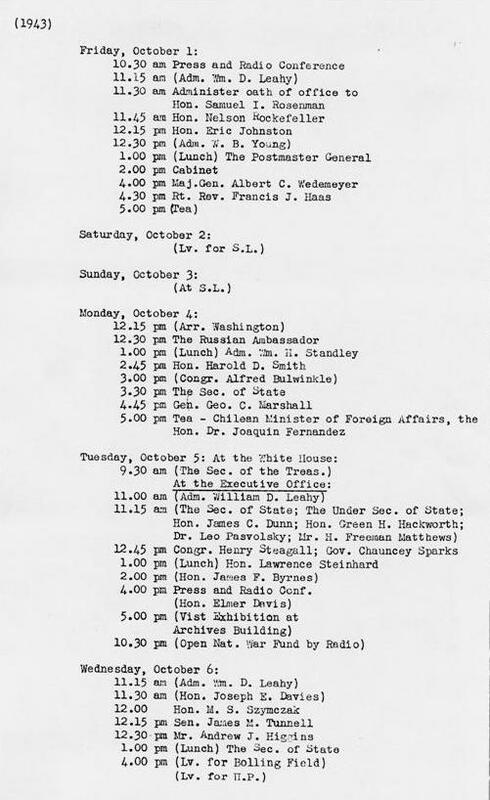 President Roosevelt’s daily schedule, October 1-6, 1943. 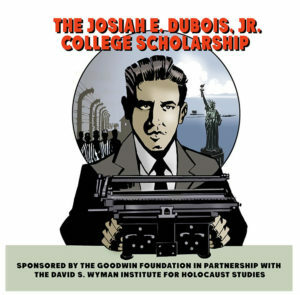 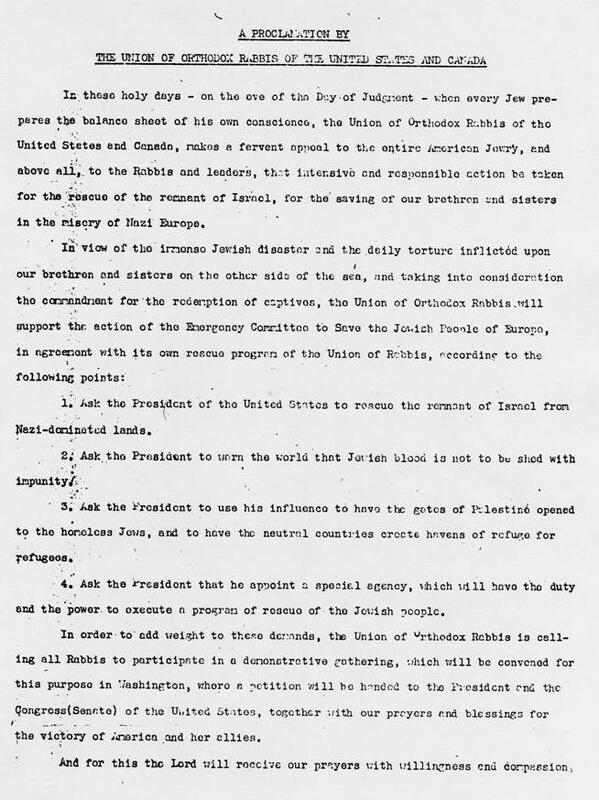 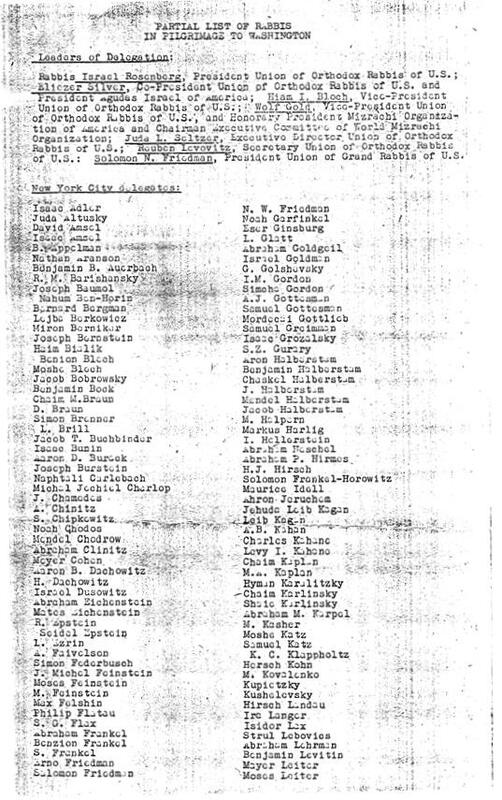 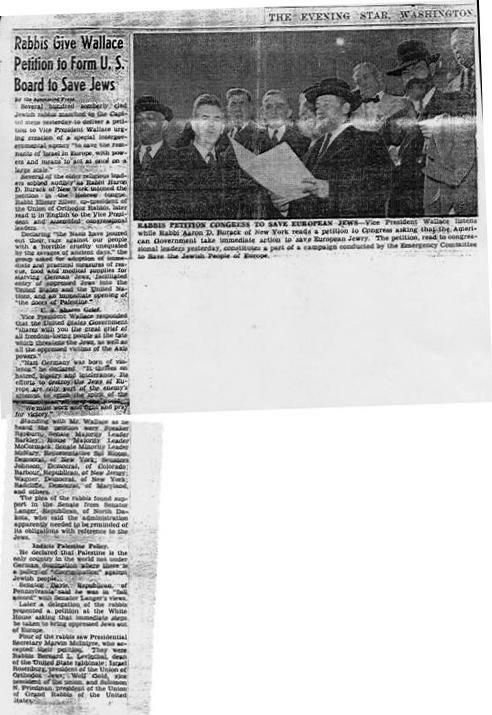 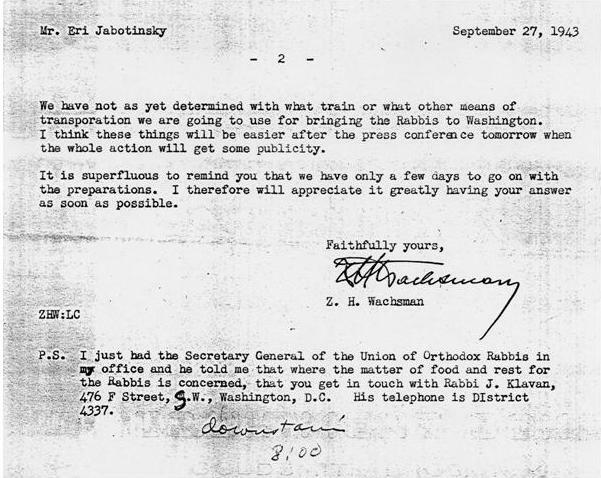 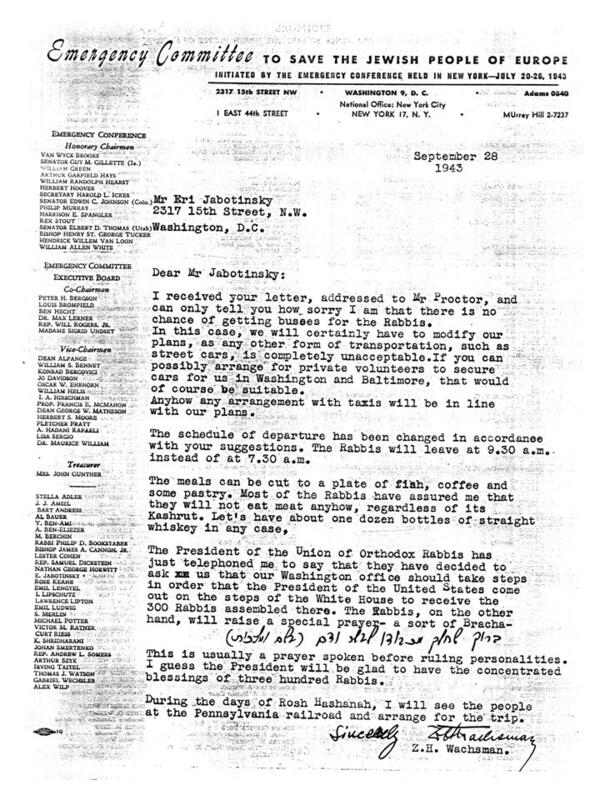 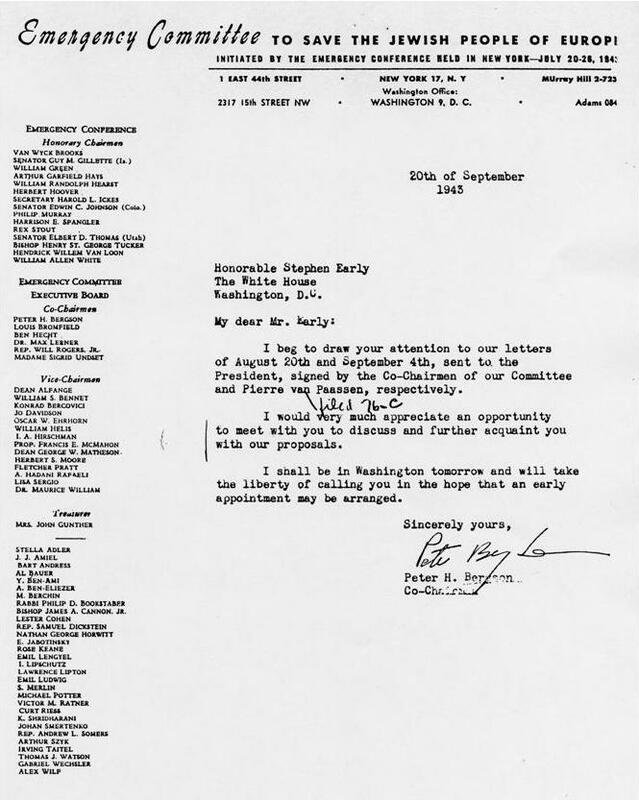 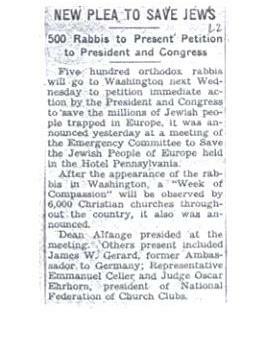 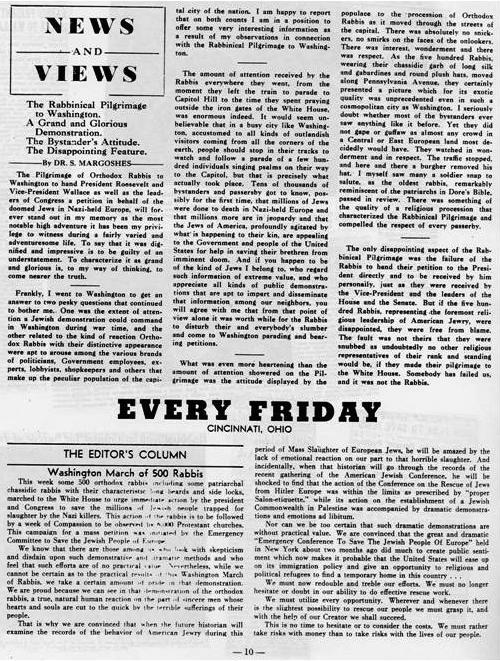 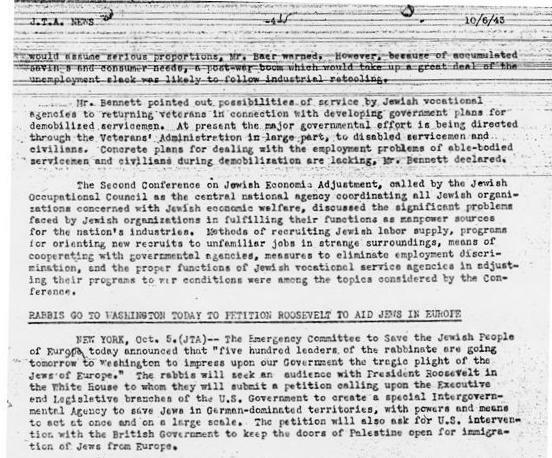 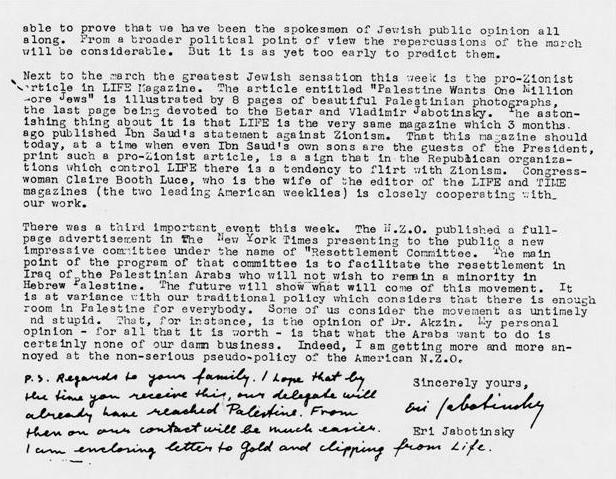 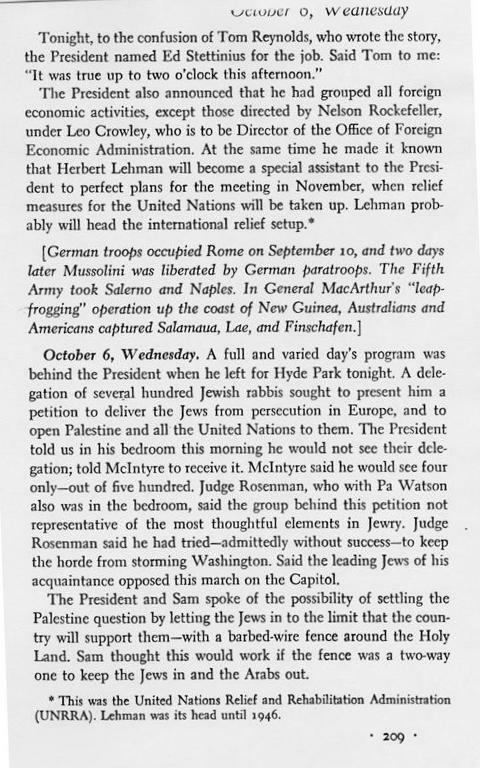 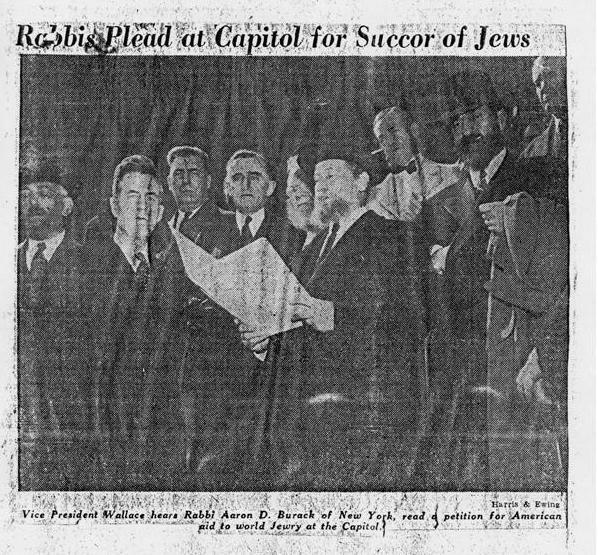 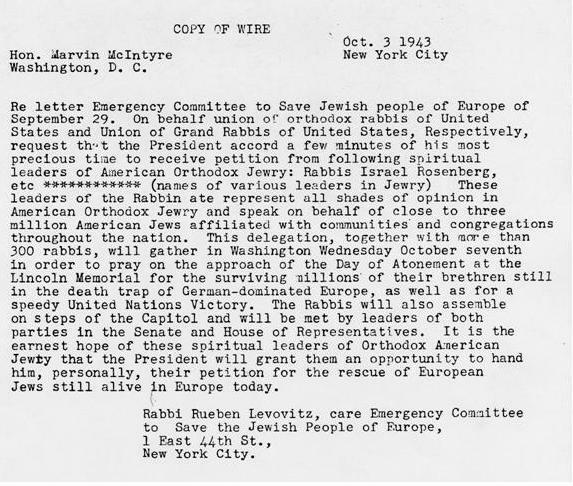 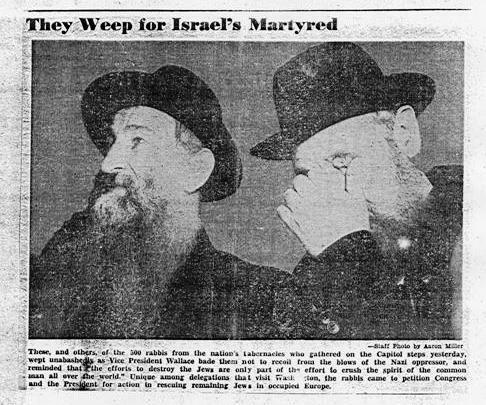 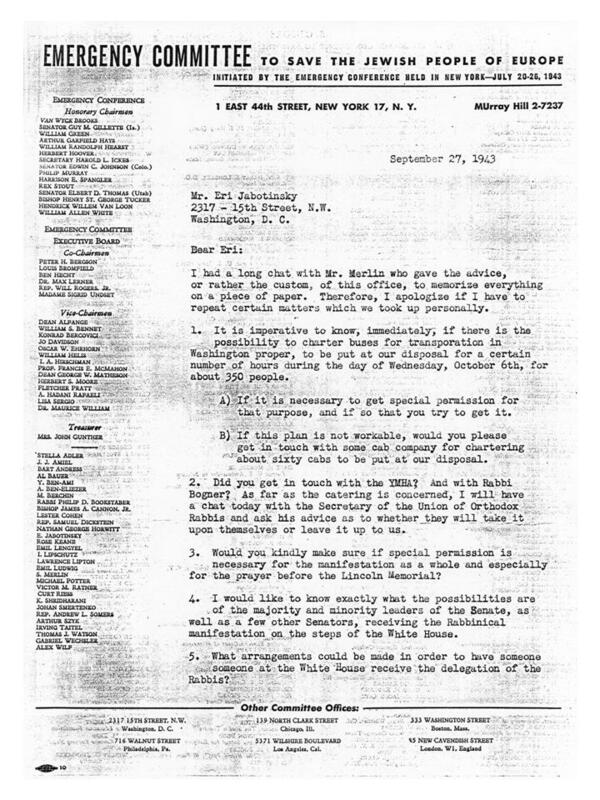 Note that on Wednesday, October 6, the day the rabbis marched, he had nothing scheduled between 1:00 pm and 4:00 pm–meaning there was nothing preventing him from meeting the rabbis when they came to the White House that afternoon. 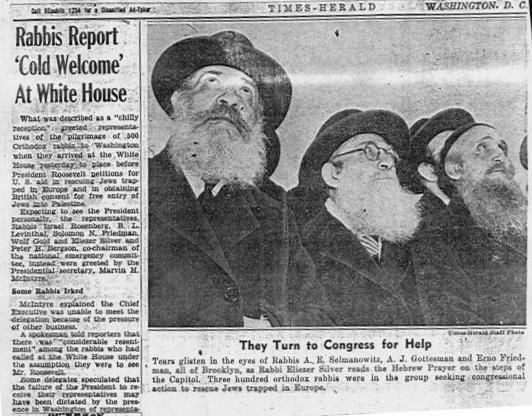 Previous Post:The Day the Rabbis Marched, Did your father or relative march?